The Lessons from Jesse Livermore Series explores the trading philosophy and trading rules of renowned trader, Jesse Livermore. Although developed a century ago, Livermore’s ideas have great relevance for today’s traders. Here Livermore discusses his mindset after blowing up his account and being flat broke. Ok, so you’ve blown up your account. Sorry to hear that. You are not alone. It’s happened to Market Wizards, often more than once and it’s happened to me. Getting wiped out is often a right of passage in the trading world; nothing to be proud of nor ashamed of. But the real key is how you react to it. Don’t blame the market. The market is never wrong; only our plays. You have the capacity to change your behavior; change your perception of the market; alter your trading style; and make progress. To be clear however, it is you that has to do the hard work to effect those changes. Commit to what I call work in front of the mirror. Aim to eliminate ego and impulsiveness from your personality. These are two big culprits that undermine our trading effectiveness. 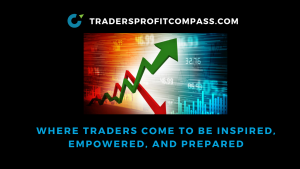 Understand that you do have the ability to become a successful trader. When it comes time to re-boot your trading, TRADE SMALL. I mean ridiculously small. 1-2 option contracts. Book some wins and re-build your confidence. Only when you know you can trust yourself and your trading process should you begin to add size to your trades. Your most precious asset is your trading monies. Trade defensively. Like in the NFL; Great defense wins Championships. Your aim is to stay in business, NOT to make money. You can only make money if you are able to stay in the game a long time. Happy Hunting and Good Trading. If you have any questions or get stuck, I’m here to help. Reach out any time.